126 Commonwealth is located on the south side of Commonwealth, between Clarendon and Dartmouth, with 124 Commonwealth to the east and 128 Commonwealth to the west. 126 Commonwealth was designed by Emerson and Fehmer, architects, and built ca. 1872 as the home of attorney Elias Gilbert Merwin and his wife, Anne (Annie) Mary (Childs) Merwin. They previously had lived at 175 Beacon. Elias Merwin purchased the land for the house from the Commonwealth of Massachusetts on September 29, 1871. Click here for an index to the deeds for 126 Commonwealth. Emerson and Fehmer also designed 118-120-122-124 Commonwealth, which were built during the same period. They were designed as a symmetrical composition, separate from 126 Commonwealth. Elias Merwin died in March of 1891, and Annie Merwin died in December of 1891. On September 22, 1892, 126 Commonwealth was purchased from Elias Merwin’s estate by Dr. Henry Cutler Baldwin, a neurologist. He previously had lived at 172 Commonwealth. Dr. Baldwin also maintained his medical office at 126 Commonwealth and accepted lodgers. In September of 1894, he married May Hamelin Widney; after their marriage, they lived at 126 Commonwealth. The lodger who stayed the longest with the Baldwins was Rev. William Herbert Dewart. 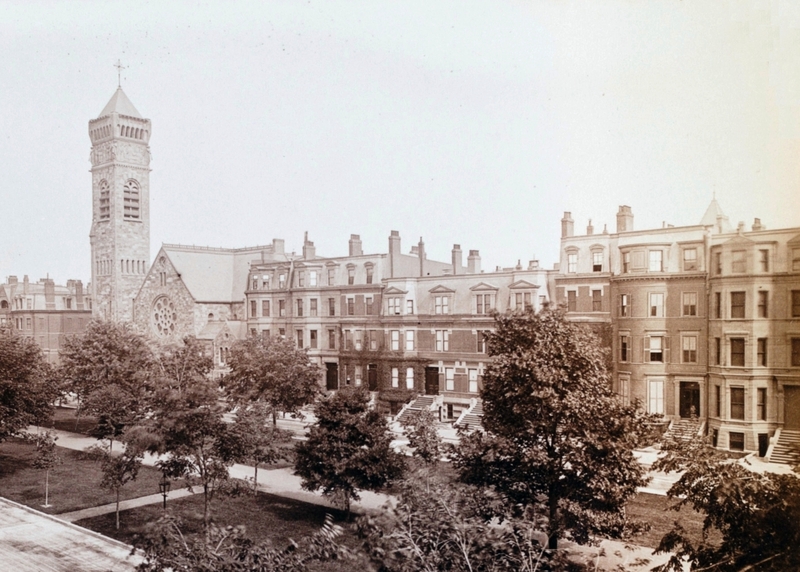 He had been named assistant rector at Trinity Church in April of 1893 and was living at 126 Commonwealth by the 1893-1894 winter season. In October of 1899, he married Elizabeth Haven Russell and moved to 277 Clarendon. After their marriage, they also maintained a home in Milton. Dr. Baldwin also provided office space to other physicians, including Dr. Henry H. Haskell (from 1896 to 1900), who lived in Auburndale (and subsequently moved to 34 Commonwealth), and Dr. Frederick E. Cheney (from 1904 to 1915), who lived in Concord. Henry Baldwin died in February of 1915 and May Baldwin moved to Newton. On September 10, 1915, 126 Commonwealth was acquired from May Baldwin by Frank E. Peabody, an investment banker who lived at 120 Commonwealth. Two months later, on November 27, 1915, 126 Commonwealth was purchased from Frank Peabody by Ellen White (Joy) Gray, the wife of banker and securities broker Francis Gray. They previously had lived in Milton. During the 1925-1926 winter season, the Grays were joined at 126 Commonwealth by Francis Gray’s sister, Sarah Frances (Gray) Silsbee, the widow of George Saltonstall Silsbee. She previously had lived at 88 Beacon. She subsequently traveled abroad and then made her home in Beverly. 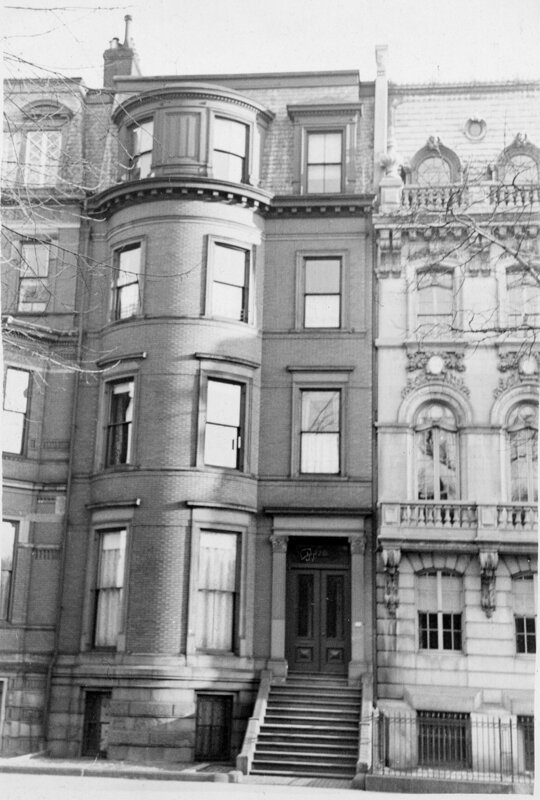 The Grays continued to live at 126 Commonwealth during the 1930-1931 winter season, and then moved to an apartment at 90 Commonwealth. They left 126 Commonwealth vacant until about 1936, after which they returned and remained there until 1942, when they moved to an apartment at 276 Marlborough. 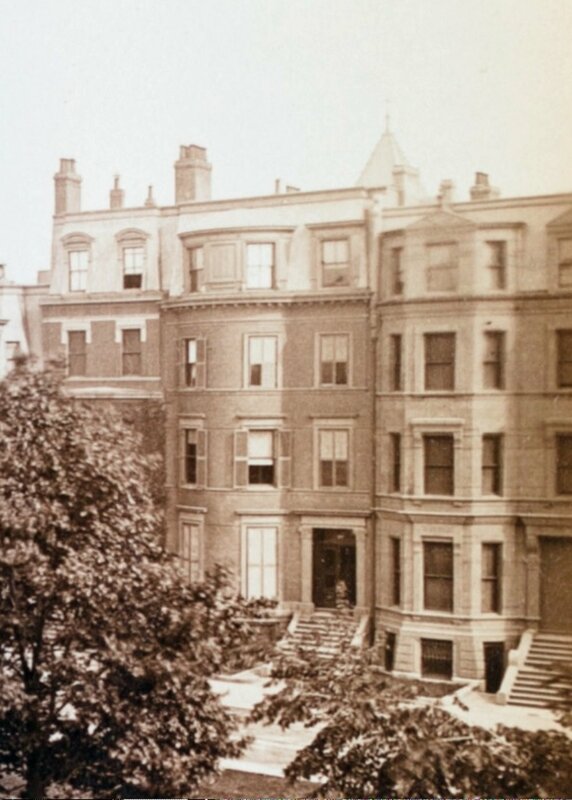 On February 25, 1943, 126 Commonwealth was acquired from Ellen Gray by Shirley Clifford Speed, a real estate dealer who converted many Back Bay houses into lodging houses and apartments. In May of 1943, he applied for (and subsequently received) permission to convert the property from single-family dwelling to a lodging house. On June 23, 1943, 126 Commonwealth was acquired from S. Clifford Speed by Elmina (Thompson) Milne, the wife of Robert B. Milne. They lived in Brookline. On September 28, 1943, Elmina Milne transferred the property to herself, her husband, and their two sons, Malcolm Bruce Baird Milne and Robert S. Milne. Robert Milne moved to 126 Commonwealth, which continued to be operated as a lodging house. Elmina Milne died in January of 1946, and on June 1, 1946, Robert B. Milne transferred his interest in 126 Commonwealth to their two sons. Robert S. Milne continued to live at 126 Commonwealth and Malcolm B. B. Milne lived in West Springfield. 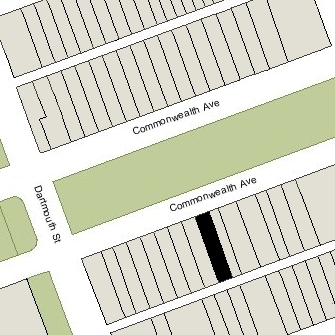 October 30, 1946, 126 Commonwealth was purchased from Robert and Malcolm Milne by Archie Wells Legro, an engineer, who lived there and continued to operate it as a lodging house. He previously had lived at 92 Pinckney. On January 8, 1971, 126 Commonwealth was purchased from Archie Legro by Ralph David Fraser, Gerald G. Hitchcock, and Charles David Libby, trustees of the Trinity Trust. It remained a lodging house. The property changed hands and on January 15, 1986, was acquired by Lower Back Bay Associates, a joint venture of two real estate syndicates: H&P Associates Ltd. Partnership II and First American Development Corporation V.
In January of 1987, Lower Back Bay Associates applied for (and subsequently received) permission to convert the property from a lodging house into seven apartments, including adding a fifth floor penthouse. 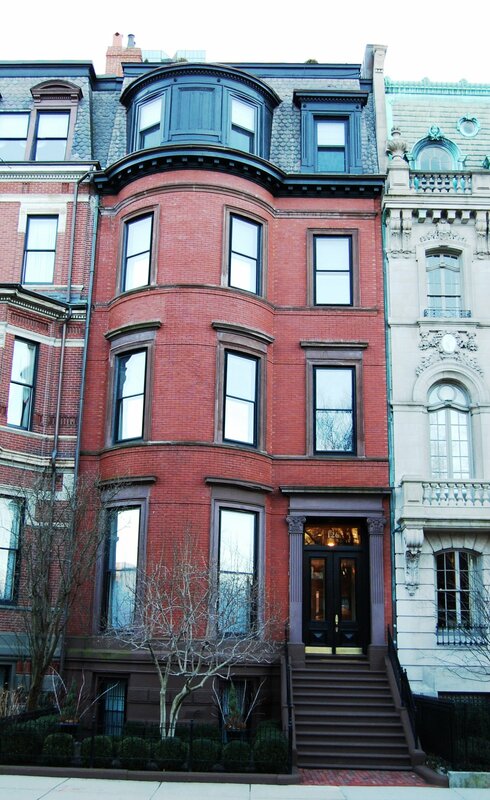 On May 26, 1987, 126 Commonwealth was purchased from Lower Back Bay Associates by Edgard Puente and John Moran, trustees of the 126 Commonwealth Avenue Realty Trust. In June of 1987, they applied for (and subsequently received) permission to reduce the number of units from seven to five. On May 4, 1988, The 126 Commonwealth Avenue Realty Trust converted the property into five condominium units, the 126 Commonwealth Condominium.